Anyway, here's my "starter for 10". Vicar, I'm actually over 100 miles from Hindhead and am now concentrating survey effort in Essex (though do have an active study site on Hindhead Commons close to where 'Gibbet Hill' is marked on your map). I'm a member of 3 arg's (well possible not actually a paid up member of any) but do try to get involved (as Lee knows). My initial comment was more a get on and organise actual surveys and events rather than form a splinter group. Most of us are too busy most of the time to do all we would like for arg's, but do contact them! Get along to meetings and see what is going on, but if you want to survey sites just do it then pass the recording info to your local arg. I think that a local component of an established ARG is a great idea. One reason for the measured comments here is that In the past there have been 'territory disputes' between adjoining ARGs that have resulted in pointless squabbling. The root of the problem was simply poor communication (on both sides). As with any people driven enterprise, individuals can get a little touchy if they feel a new group has appeared from nowhere and is encroaching on established turf. However, encouraging exchange of ideas between different people who are active in different areas is exactly what I am trying to promote. 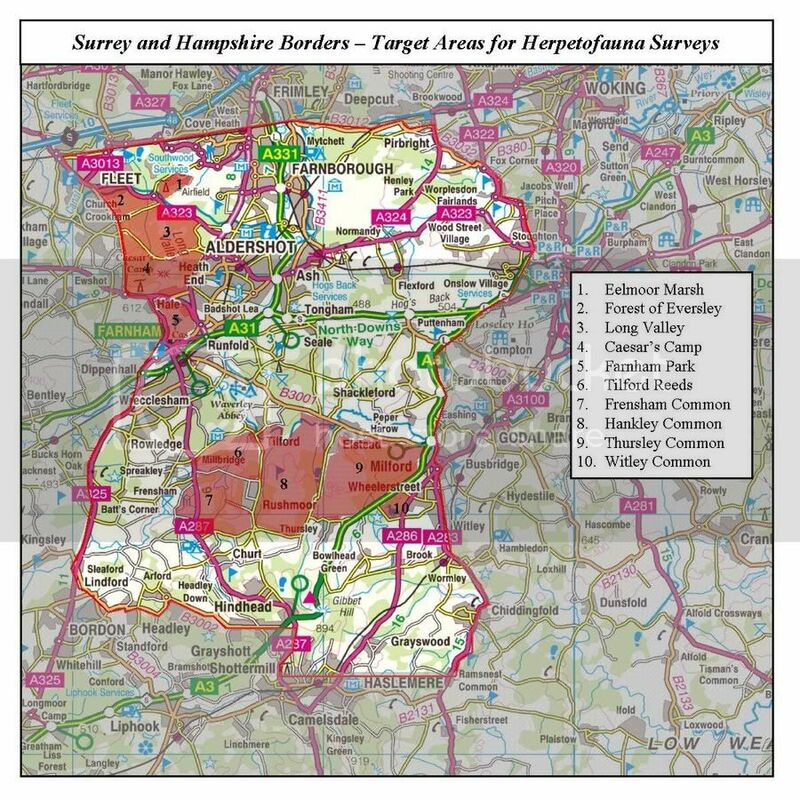 With that in mind if anybody on the Kent border would like to see some of the sites being studied in my area please get in touch or review my blog for up and coming diary dates. Likewise if you would like to be put in touch with active recorders in other SE counties either ask for details here or email me directly. Another good way to meet people is to come along to one of the HGBI Conferences. I know of two that are currently being organised (East Anglia and South East). Hopefully full details of both conferences will be available soon.